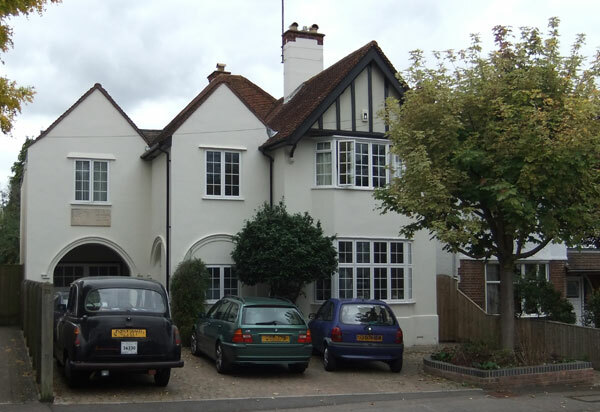 John Ronald Reuel Tolkien (1892–1973) lived at 76 Sandfield Road, Headington from 1953 1o 1968. This Portland stone plaque is fixed over the garage at the front of the house. It was carved in the 1970s by Bill Brown of Kidlington for the then owner, Mr Phillips. In 1968 the attentions of the fans of The Hobbit and The Lord of the Rings at his Sandfield Road home made him flee from Headington to Bournemouth, where he remained until his death in 1973.